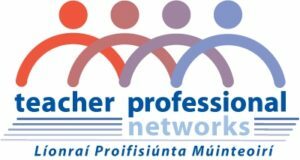 The purpose of this post is to update AGTI members on the current developments in the drafting of the new Junior Cycle Geography Syllabus. Until the final draft syllabus (called a ‘specification’) is released for consultation, the exact details of the syllabus are confidential. However, the aim here is to give you as much information as possible to keep you abreast of developments. A Subject Development Group met just before the end of the summer term and had a brief meeting with the NCCA which outlined the key ideas behind the new junior cycle. A group meeting was held to brainstorm what members of the development group would like to see in the new specification. The Subject Development Group has so far met 3 times this school year. A draft briefing paper was circulated before the first meeting. At the first meeting, the briefing paper and ideas for a general vision for the new syllabus was discussed. The issue of a field trip was raised as a possibility however there was no agreement on this for a number of reasons. This does not mean there will be no field trip component but that, at present, if there is one, it would not be mandatory. The second meeting of the Group discussed possible components of the specification . Each new Junior Cycle specification has a common structure. Each subject will have a number of Strands. These are typically the common areas of enquiry for the particular subject, although how many, or which fields are included are open to final agreement of the Group and the feedback from the consultation process. For the purposes of this post, think of Strands 1,2 & 3 (though there could be more or less). Each subject syllabus will also have a number of Elements. Elements are particular focus points for each Strand. For this post, think of Elements A, B & C.
Each specification will have a number of Learning Outcomes. These have already been contested in some subjects because of the focus on skills in the new Junior Cycle at what some see as the expense of content. S2 EA x LO1-LO2 etc, EB x LO1-LO2 etc, ECx LO1-LO2 etc; …. The third meeting of the Group refined the vision for the new specification. However, so far there has been no agreement on the exact Strands or Elements but the Group is getting closer to an agreed division. Learning Outcomes have not yet been discussed. A possible Aim for the specification and the relevant Statements of Learning have also been discussed. Teachers will have an opportunity to contribute their views on the Draft Specification in the new year. The final specification is due to be released in Autumn 2017 prior to in-service and its introduction from September 2018. The NCCA has released the briefing paper. Download it here and have a read. There is a feedback form here. It’s really important that as many geography teachers as possible read the paper and complete the form. This way we can build a shared vision for the new geography specification. ← Who Has Won The 2016 Gwenda Hurst Medal?